Hugo Werner Jantz was an educator and church leader, born 5 March 1930 in Laird, Saskatchewan, to Henry A. Jantz (1902-1994) and Helena (Penner) Jantz (1902-1994). He was third oldest in a family of five sons and two daughters. On 27 June 1954 he married Katherine Goertzen in Chilliwack, British Columbia. Hugo and Katherine had six daughters and one son. Hugo died 12 August 2006 in Winnipeg, Manitoba. Hugo W. Jantz spent his childhood in Laird, and completed his high school at Prairie Bible Institute in Three Hills, Alberta. Following a year at the Eden Bible and High School in Niagara-on-the-Lake, Ontario, Hugo studied at Mennonite Brethren Bible College (MBBC) in Winnipeg, Manitoba. Following graduation from MBBC in 1953, Hugo accepted a teaching position at East Chilliwack Mennonite Brethren Bible School. In January 1956 he was ordained for ministry in the Broadway Mennonite Brethren (MB) Church by Jacob Bergen and A. H. Unruh. Hugo and Katherine then embarked on a long career of missions, teaching, and congregational ministry, with Katherine also working many years as a nurse. In 1956, under the Mennonite Brethren Board of Foreign Missions, they accepted a call to serve in Quito, Ecuador, where Hugo was assigned to the German-language department with the missionary radio station HCJB. After four years in Quito, they returned to North America and he completed an undergraduate degree at Tabor College, in Hillsboro, Kansas, before moving to Neuwied, Germany in 1961 to do five years of pastoral work among Mennonite and other refugees from eastern Europe and Russia. Then followed eight years in which Hugo taught Bible and pastoral theology at Mennonite Brethren Bible Institute / Columbia Bible Institute in Clearbrook, British Columbia. During that time, he also served as assistant pastor in the Yarrow and Clearbrook MB churches and pursued graduate studies at Western Washington State University in Bellingham. In 1974 the family, now with seven children, moved to Winnipeg, Manitoba, where Hugo became pastor of the Fort Garry Mennonite Brethren Church. Following this, Hugo served as church relations director, first with MBBC (1977-1980), then with the Canadian office of Mennonite Brethren Missions/Services (1980-1985). During these years in Winnipeg, he also served for ten years on the board (beginning in 1974) of Mennonite Central Committee (MCC) Canada and executive committee of MCC International. He was chair of the MCC (Canada) board from 1978-1983 and for several years vice-chair of MCC International. Hugo and Katherine returned to Germany in 1985 to do a brief interim pastoral ministry, returned to Canada for a two-year stint with a Winnipeg congregation, and then returned to Germany to serve for five years as director of Mennonite Central Committee’s European programs, with particular focus on eastern Europe during a time of great change in that part of Europe. As a highly regarded preacher, Jantz did a lot of preaching within many of the European Mennonite groups. The Jantzes returned to Winnipeg in 1992. Before retiring in 1996, Hugo served as senior pastor of Douglas Mennonite Church for from 1993-1996. Hugo Jantz was known and admired for his strong personal and family relationships, his unpretentious manner and sense of humour, as well as his engaging preaching. He was a great admirer of German theologian Dietrich Bonhoeffer and quoted him often. Burkholder-Rempel, Byron. "Jantz, Hugo W. (1930-2006)." Global Anabaptist Mennonite Encyclopedia Online. January 2010. Web. 12 March 2012. Under the direction of the family, the Hugo Jantz Papers were arranged by Harold Jantz, brother to Hugo. They were donated to MBSC by Katherine Jantz, Hugo’s wife. The material in this collection includes widely-ranging personal papers which document Hugo and Katharine Jantz’s ministry around the world as well as their personal lives. Included are 33 photos from this period; three (+1: Virgil) are at NP195-01; the rest remain in the files. Also available are two VHS videos: 1.) MCC Europe Retreats (Colmar, Berlin, Worms], Neuwied Christmas 1990. 2. ) MCC Fraternity in Berlin 1990; The Berlin Wall; MCC Retreat in Worms, 1990; The Rhine during the flood, and Neuwied. 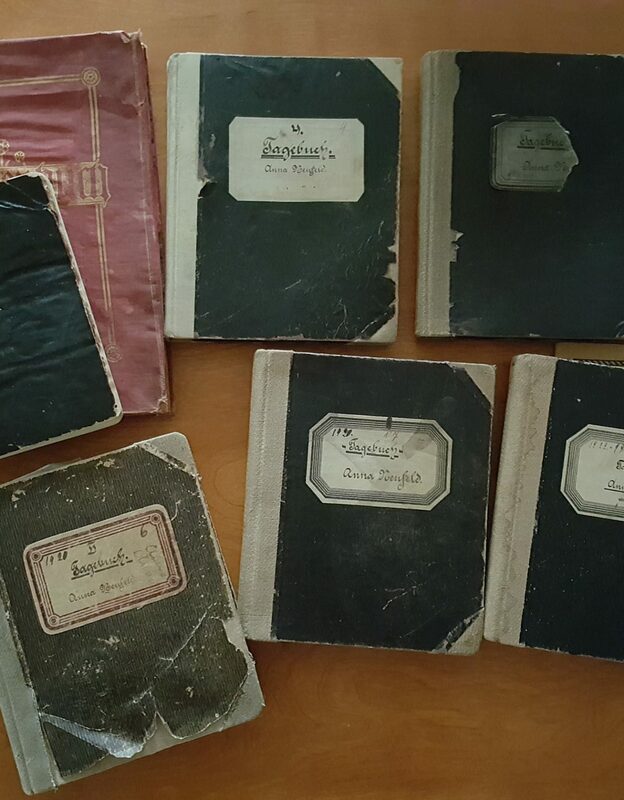 There are 32 cassettes which include recordings of Hugo’s sermons, special church services, sermons by others and other recordings significant to Hugo. Related material: Photograph collection NP195-01, and videos NMV-44-7, 8. Related material: Cassettes NA-01-296-301; NA-02-89; NA-08-08; NA-13-33-36; NA-16-38-42; NA-17-90-96; NA-23-60-61. Description by Yvonne Snider-Nighswander, March 26, 2012. 1.Adina Reger: Tour to visit Aron Reimer Descendants. – 1999-2006. 2.Aussiedler: Heinrich Heidi story in Soviet Union. – 1991. Hugo and Katherine’s wedding and their 25th anniversary family photo; six black and white copies of students and teachers at Prairie (Bible) High School, 1948-1949. Also includes photos attached to the (Neuwied) Jantz Family Bulletins, 1963-1964; includes some photocopies of each child. 4.Bulletins: Church speaking assignments. – 1980-2003. 5.Christian Education: Sunday School; church-based education. 1955-1982. 6.Church Life: Child dedication. – 1975-1977. 7.Colleagues. Includes two unidentified black and white photocopied photos. – 2001-2010. 8.Donations: Sampling of causes. – 1997, 2003. 9.Douglas Mennonite Church. – 1993-1999. 10.Family: Annual letters, addresses. Includes two black and white photocopied wedding photos, of Janet and Judith Jantz, both in December, 1979. 1979-2001. 11.Family: Family Life. Includes two coloured photocopied photos of Hugo Jantz. 1974-1999. 12.Family: History – Jantz, Penner. – 1970-2003. 13.Family: History – Reimer, Goertzen; includes extensive autobiographical writing by Gerhardt Peter Reimer. – 1986-2001. 14.Family: Time of illness. 2004-2006. 15.Fort Garry MB Church: Minutes, planning etc. – 1974, 1993, 2003. 16.German: Mennonite Brethren Conference. - 1988-1989. 17.HCJB: WRMF German Radio Committee. – 1963-1965. 18.HCJB: Quito, Correspondence. – 1989-2001. 19.Humour: For lighter occasions. – [19--]. 20.Issues: Reflections of critical issues. – 1994. 21.Lectures: Church Leadership; Direction. – 1978-1985. 22.Lectures: Diaconal Social Work; Bienenberg. – 1990. 23.Lectures: Family Life, Sexuality, Youth. – 1950-1970. 1.Letters: With extended family. – 1963, 1998-2006. 2.Letters: To Reimers from Hugo and Katherine, European Ministry. Includes a coloured photo of Katherine at the Dead Sea in Israel, 1992. – 1961-1992. 3.Letters: With Reimer family, from Canada, US. – 1955-2001. 4.Letters: With Jantz family, from Canada, US. – 1956-2003. 5.Letters: To Reimers from Hugo and Katherine, South American ministry. - 1957-1960. 6.Letters: To Hugo and Katherine, from Reimers, European Ministry. – 1961-2001. 7.Letters: To Jantz family, from Hugo and Katherine, European Ministry. – 1961-1989. 8.Letters: To Hugo and Katherine, from Jantz family, European Ministry. – 1961-1964. 9.Letters: Hugo and Katherine, to each other. – 1960-1998. 10.Letters: To and from close friends. – 1956-2003. 11.Letters: Of reference. – 2006. 12.Maples MB Church. – 1986. 13.MBBC: As student, as staff. – 1978-2009. 14.MBMSI: Assignment, correspondence. – 1956-1992. 15.MCC: Search Committee - General Director. – 1980. 16.MCC: Europe Director position. – 1987-1999. 17.MCC: VS Consultation, 31 October, 1974. – 1974. 18.MCC: Agencies working with MCC Europe. – 1992. 19.MCC: Peace Section, Eastern European student. – 1965. 20.Missions: Sermons, Conferences, MBMSI work etc. – 1982-2003. 21.Neustadt: Short-term service Neustadt Church. – 1998. 22.Neuwied: Assignment, Correspondence. – 1964-2003. 23. Neuwied: Business meetings, issues. – 1961, 1982, 1989-2001. 24. Obituaries: Family and friends. – 2011. 27.Regier: Family account of Jacob and Anna (Loewen) Regier during Soviet period; includes genealogical data. – [1940-?]. 28.Reimer Letters: to Gerhard and Sara from family in Soviet Union. – 1956-1965. 29.Reimer Letters: to Gerhard and Sara from family in Soviet Union. – 1966-[1980?]. 30.Retreats: Speaking assignments. – 1981, 1982, 2003. 31.Sermons: By year. – 1998. 32.Sermons: By year. – 1999. 33.Sermons: By year. – 2000. 34.Sermons: By year. – 2001. 35.Sermons: By year. (None extant for 2002). – 2003. 36.Sermons: Advent, Christmas, New Year. – 1961-[198?]. 38.Sermons: Celebrating God in Mennonite History. – 1975. 39.Sermons: Christian Worldview. – [1960?]-2000. 40.Sermons: Church Community Life. – [1960?]-2005. 41.Sermons: Conferences, Desire, Hunger for God. – [1960?]-1986. 42.Sermons: Discipleship, Sanctification, Rule of Christ, Kingdom Themes. – [1960?-1980?]. 43.Sermons: Easter, Resurrection, Pentecost. – [1960?]-2000. 44.Sermons: End Times, Return of Christ. - [1960?]-1999. 45.Sermons: Eternal Life, Assurance, Trust. - [1960?]-2004. 47.Sermons: Faith and Life. - [1960?]-2000. 48.Sermons: Family Life, Parents, Young People, Children. - [1960?-1980?]. 49.Sermons: Funeral, Service Notes. - [1960?]-1997. 50.Sermons: Jesus, God, the Holy Spirit, Trinity. - [1960?]-2000. 52.Sermons: Peace, Love, Non-Resistance. - [1960?]-1998. 54.Travel: Ministry Travel, MCC Travel. – 1980-1983. 55.Travel: Major Trips for Personal Benefit. – 1992. 56.Weddings: Sermons, Service Notes. – [1960? ]-1995.